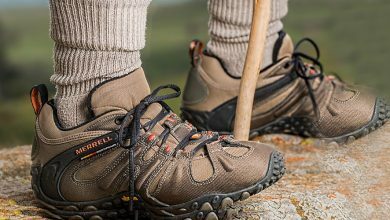 For a successful and fulfilling hiking experience, having the best hiking pants for men should be top on your list. There are several hiking pants and each is designed to perform differently under different circumstances. 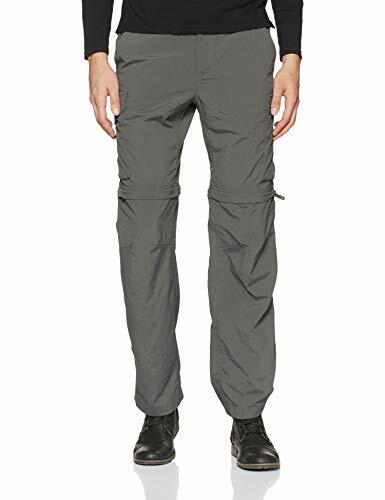 Yet there is a similarity in all these hiking pants in the sense that they are meant to keep you comfortable throughout your hiking expedition. Besides, they should be durable, water-resistant, and, above all, very easy to clean and to care for. 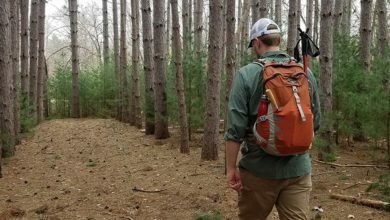 Whether you have used one before or want a pair of hiking pants for your first hiking adventure, you are in the right place. In this platform, we unveil to you comprehensive reviews to help you find the perfect pair. Consider the Columbia Men’s Silver Ridge Convertible Pant for active days when camping, hiking or fishing. 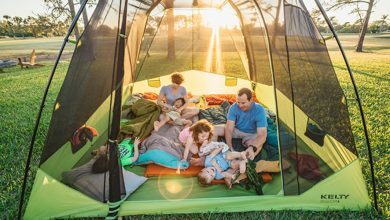 It boasts Omni-Shade UPF 50 fabric and Omni-Wick technology to offer maximum protection from the sun and pull moisture away to keep you cool respectively. Also, the pant offers great protection against mosquitoes, ensuring ultimate comfort while on an outdoor adventure. This convertible pant has 1 zipper closure pocket and side pockets with hook and loop closure. It is equipped with a partially elastic waist to provide a comfortable fit for men of various sizes. The prAna Stretch Zion Pant is made of 97% Nylon and 3% Spandex, making it highly abrasion-resistant. It has quick-dry stretch performance fabric with ventilated inseam gusset to keep you cool and dry at all times. Similarly, it boasts the original stretch Zion fabric with durable water-repellent finish for maximum longevity. As such, the Zion pant makes a great choice for challenging environments that get really wet sometimes. The stretch material makes this pant very flexible to offer easy mobility while doing demanding tasks. 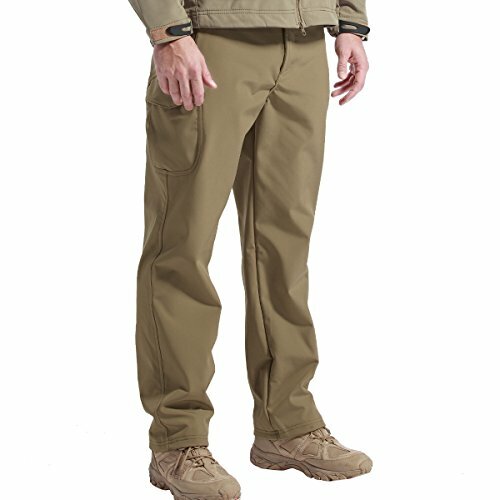 There are numerous mesh pockets with cargo pockets to offer optimal functionality and convenience. The Zion pant also has a standard fit design to ensure a comfortable fit. It is available in various colors and sizes for you to find your favorite option. At the same time, the pant boasts high-quality construction to provide maximum strength for long-term use. 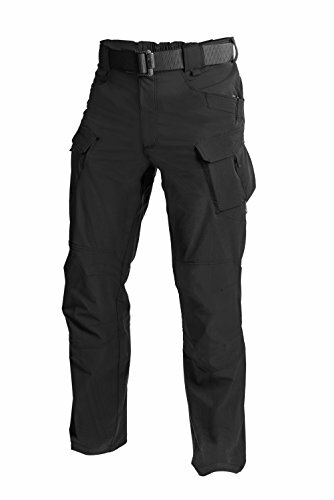 Crafted with rip-stop fabric materials of 65% polyester and 35% cotton, the CQR Men’s Tactical Pants are extremely durable. At the same time, they come with high-strength metal alloy snap button and zipper along with a durable mounted stopper. The pants are constructed with a hint of military performance design, so you can rest assured they will work well outdoors. These pants are complete with Duratex fabric that repels dirt, liquids, and other contaminants for simple maintenance. There are 8 multi-purpose cargo pockets that are spacious and sturdy for safekeeping of various tools and equipment. The pants are well-made with an elastic expansion in the waist to allow for a comfortable fit. You can have your favorite pick of these pants from the several sizes and colors that are available. Besides, the pants are shrink, fade, and wrinkle resistant to remain new wash after wash. 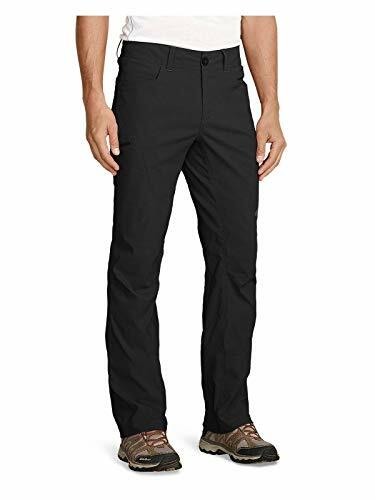 Featuring soft shell polyester surface layer, the Singbring Men’s Waterproof Hiking Pants are soft and comfortable against the skin. As such, they are great for skiing, hiking, mountaineering, and fishing, among others. There are front zippered pockets to help you carry a few necessities for easy access. These pants are designed with an adjustable waist that allows for easy and comfortable fit. They come in a variety of colors and sizes, so you can find one that fits you perfectly well. The pants are made with durability in mind; thus, they work well even for rigorous tasks, like gardening, without wearing out too soon. They have a high waist design that makes them fit well for easy mobility. The pants come with belt loops to enable you to add a belt for better fit and comfort. Better yet, they are breathable to keep you cool in hot climates. Originally designed to protect fishermen in the coldest of seas in all kinds of weather, the Helly Hansen Men’s Voss Rain Pant is also perfect for hiking and other outdoor adventures. 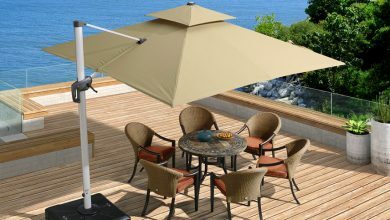 It boasts fully wind and waterproof construction with welded seams to offer optimal protection. The Rain pant has the full stretch PU fabric to ensure optimal freedom of movement. It has a simple and practical design at an affordable price so you won’t break the bank just to have it. As a result, it works well for a variety of general use in short contract or high turnover market situations. There is plenty of space inside these pants and the legs are large enough to fit well over rain boots. The pants come in various colors and sizes to choose from. Furthermore, they are warm underneath to ensure maximum comfort in cold weather. Choose the Columbia Men’s Silver Ridge Stretch Pants if you want something to keep you absolutely comfortable during active days in the sun. The pants are not only comfortable but also they are good looking to suit people who care about a stylish outdoor gear. These pants are designed with Omni-Shade UPF 50 fabric to give you maximum protection in the sun. Likewise, they are equipped with Omni-Shield technology to repel water and stains for easy care and maintenance. These stretch pants feature zip closure security pocket, side pockets with hook and loop closure for efficiency and convenience. The waist is partially elastic with gusset details for ultimate comfort. The pants boast quick-wicking design to keep you cool and dry always. Better still, they are durably made with high-quality materials to withstand the rigors of outdoor elements. 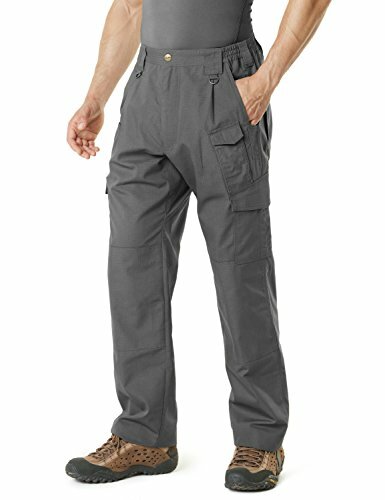 With 94% polyester and 6% spandex construction, the FREE SOLDIER Men’s Outdoor Hiking Pants feel soft and comfortable against the skin. They are complete with stretchy ripstop fabric to enable you to move more freely. Similarly, these pants are lightweight to ensure you don’t have too much weight to hold you back whenever hiking gets intense. The pants are waterproof and windproof to keep you warm during the cold weather outdoors. They are equipped with zipper security pockets with waterproof treatment and Velcro 3D thigh pockets to hold your phone and other small accessories. There is a metal zipper fly that runs smoothly for easy opening and closing. Also, the waist of these pants is partially adjustable to ensure a comfortable and customizable fit. All these come at an affordable price while giving you the quality that is comparable to high-end pants. Made of UPF sun protection fabric, the White Sierra Trail Convertible Pant reduces your exposure to harmful UV radiation while hiking or hunting. And it is water-repellent to keep you cool and dry across all kinds of weather. The convertible pant has zip-off legs that allow for an easy change from pants to short when the temperatures rise. It is equipped with a hook and loop front and back pockets for secure and convenient storage of a few items. This convertible pant has an incredible quality for the offered price. Plus it boasts moisture-wicking and quick-drying features to offer optimal convenience in any outdoor adventure. It feels very light, enabling you to have maximum freedom to move around. What’s more, the pant comes in different colors and sizes to choose from. Ideally, it runs large at the bottom, and this can be a bother to some people. However, it works great if you are going to wear it over rain boots. With flexion stretch woven technology, the Eddie Bauer Men’s Guide Pro Pants provide 2-way stretch to ensure excellent mobility. They have a StormRepel DWR finish to shed moisture so it doesn’t soak in. The pants are equipped with polygiene odor control in the waistband that stays fresher for longer to ensure maximum comfort. The stretchy fabric is lightweight and breathable to offer optimum air circulation to keep you cool in hot days in the sun. The pants are comfortable with a functional design, making them great for hiking and all-around outdoor use. They are available in various colors and sizes to enable you to find your favorite pair. Moreover, they pack into a small size, making them a great addition when packing for an overnight trip. These pants are also machine-washable in the delicate cycle for easy care and maintenance. Designed to meet all the tactical requirements needed during outdoor activities, the HELIKON-TEX OTP Outdoor Tactical Pants stand far apart from others in the industry. They have a 4-way elastic fabric made of 93% nylon and 7% spandex. Therefore, they are comfortable and durable so it doesn’t rip out at the seams as most pants do. The pants have been secured with Velcro waist flap and a metal YKK zippered fly for better performance. They come with low-profile pockets placed at the front, sides, and rear for added convenience. These pants are stylish with the correct sizing to offer ultimate functionality. All you need to do is pick your ideal size and color from the available options. 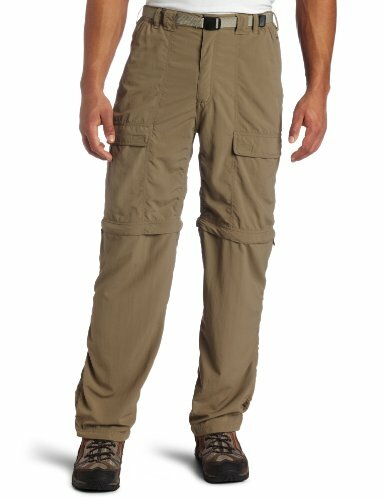 These hiking pants for men are lightweight and breathable for increased comfort during prolonged use. They are, however, a bit pricey, but the quality is at par to offer great value for the money. The following are some of the factors we considered before coming up with this compilation and we believe they will help you narrow down your choices. Take a look. Most hiking pants are made using a blend of materials. However, to get the most out of the one you buy, ensure it has water-resistant, quick-drying, and breathability features. Normally, polyester is used for water-resistance, nylon for extra durability, and spandex for increased stretch and comfort. Therefore, consider hiking pants with a combination of any two of the three materials. Hiking as an activity is tedious and requires a lot of energy; hence, it is always advisable that you cut as much weight as possible. For this reason, go for pants that are lightweight. This is because they come with the added benefit of comfort and greater freedom of movement. This, however, doesn’t mean a heavier product is automatically poor quality. So, combine the weight together with other features like water-resistance, among others. For a successful hiking trip, it can be useful to have plenty of pockets both at the front, back, and sideways. Numerous pockets will come in handy if you want to keep things within easy rich. Thus, consider zippered pockets compared to ordinary pockets as they will prevent things from falling. 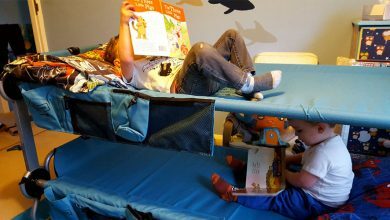 This is especially vital when mountaineering or sitting down and resting. Check out our straight-to-the-point frequently asked questions. Can you wear layers under hiking pants? Yes, you can. 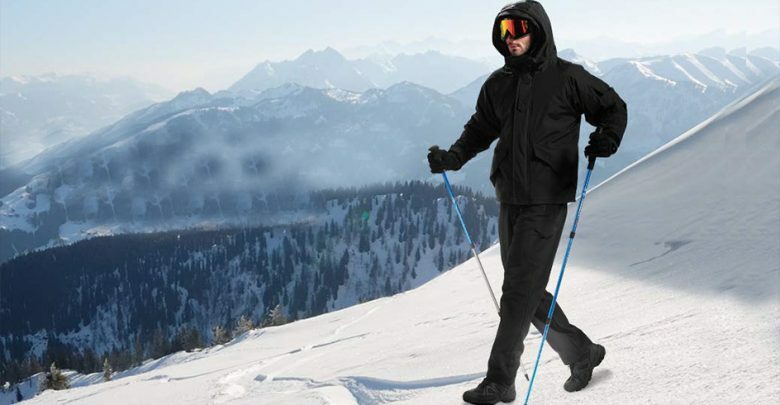 It is possible to wear layers under the hiking pants since most of them are loose enough in the legs to accommodate a base layer. And it is very advisable, especially during winter. What makes a good hiking pant? Are the above pants good for winter hiking? Yes. However, you will need to layer them with other clothing since most of them are lightweight and may be too cold to wear independently. As a hiking enthusiast, investing in the best hiking pants will go a long way in helping you enjoy every bit of the hiking adventure. The best hiking pants are comfortable, wear, and water-resistant to offer the best performance. And these reviews contain some of the best hiking pants in the industry right now. So, we urge you to read through carefully and intensively in order to discover which pair works best for you.